The once beaten light heavyweight prospect, Sena Agbeko 18-1 (17 KO’s) who will be facing veteran Brad Austin 12-25 (9 KO’s) this Friday night at the State Fairgrounds Sports Arena in Nashville, TN, does not hold back any punches with his intentions come fight night. In fact, the twenty-five year old Ghana born boxer demands, he will knock Brad Austin out. The former amateur standout, made his pro-debut in June of 2011. 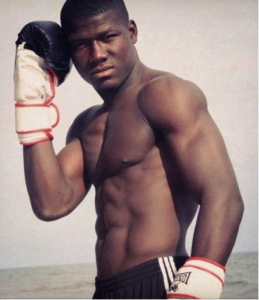 Agbeko banged out fifteen consecutive victories, all via stoppage, before tasting defeat in 2014 against the stinging southpaw, Raymond Gatica. Sena took a three year hiatus from the ring, but came back strong March of this year and is riding a three fight win streak. And come Friday night, Sena Agbeko aims to keep the victory train rolling. In this exclusive interview Sena speaks out on his upcoming fight, his career and more.